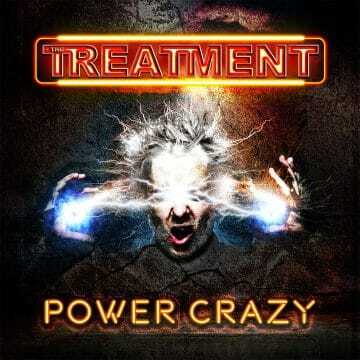 UK ROCKERS, THE TREATMENT, HAVE JUST RELEASED THEIR FOURTH STUDIO ALBUM ‘POWER CRAZY’ VIA FRONTIERS MUSIC SRL. THE TREATMENT HAVE SUFFERED SOME LINE-UP CHANGES INCLUDING HAVING TO REPLACE THEIR LEAD VOCALIST FOR EACH OF THEIR LAST TWO ALBUMS. 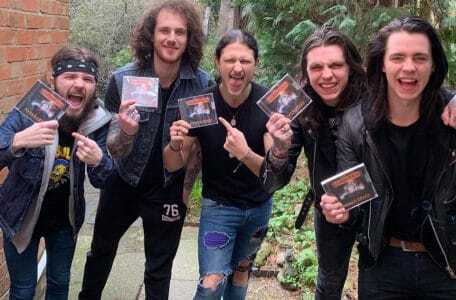 THE CORE OF THE GROUP — DRUMMER DHANI MANSWORTH, GUITARIST TAGORE GREY AND BASSIST RICK “SWOGGLE” NEWMAN — REMAINS AND HAS MOVED FORWARD WITH GUITARIST TAO GREY (ON BOARD BEFORE THE THIRD ALBUM ‘GENERATION ME’) AND NEW SINGER TOM RAMPTON. 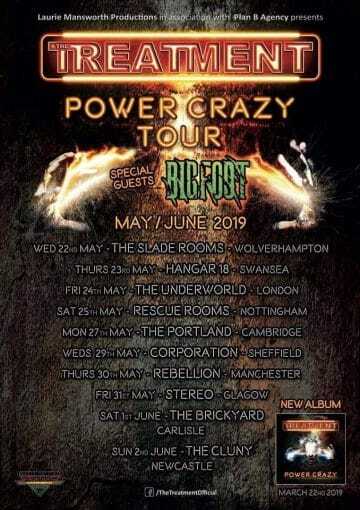 SLEAZE ROXX CAUGHT UP WITH MANSWORTH ABOUT A MONTH AND A HALF BEFORE THE TREATMENT EMBARK ON A TEN-DATE TOUR OF THE UK STARTING ON MAY 22ND. Sleaze Roxx: So funny enough, we did an interview about three years ago and at that time, my first question was what happened with your singer? Here we are three years later and it’s the same thing. What happened with Mitchell [Emms]? Dhani Mansworth: Mitch just didn’t work out with the band. He’s a lot different than us. He’s got different views and a different music base than us so we thought rather than be in a band with someone that doesn’t want 100% to do it, we move on. I think Tom has what we were lacking at the time. Sleaze Roxx: So how did you go about finding Tom. I know with Mitchell, you didn’t audition anybody but him. Was it the same thing for Tom? Dhani Mansworth: Yes. It was a pretty similar process. We ran across Tom on YouTube so it was a pretty similar way that we found Mitch. We were kind of lucky in that aspect. Sleaze Roxx: How would you compare Tom vocally to Mitch? Dhani Mansworth: With Tom joining the band, we are more to our classic rock roots than what it was with Mitchell. Sleaze Roxx: Did Tom have a hand in writing the new album? Dhani Mansworth: A lot of stuff was done. I gather 50-50. A lot of the songs, we had before Tom joined the band. We were working on them before Mitchell left but Tom did have an input as far as his voice and stuff is concerned. Sleaze Roxx: Now I understand that all of you guys live in a house together. Is that right? Dhani Mansworth: Yeah. We’ve all lived together for quite a while. Sleaze Roxx: So does a new member have to join in with you guys? How does that work? Dhani Mansworth: Errr. Tom kind of lives with his girlfriend at the moment. He lives really close so it hasn’t really affected anything for rehearsals and stuff. Sleaze Roxx: Now, I saw in the booklet for ‘Power Crazy’ that Tag nicknamed you “The dentist.” How did you get that nickname? Dhani Mansworth: I have no idea to be honest [laughs]. Dhani Mansworth: First I knew about it [laughs]. Sleaze Roxx: Yeah, well, you better follow up with him about that. Sleaze Roxx: So tell me about the new album. How do you find that it compares to your previous albums? Dhani Mansworth: The new album sounds a lot more like what we set out this band to be. It’s basically the album that we always wanted to make. Subscribe here for more videos – http://radi.al/SubscribeFrontiers | From the album POWER CRAZY. Get your copy NOW: http://radi.al/PowerCrazy Follow the “Newest From Frontiers” playlist on Spotify to keep up with all the new songs we release each week: http://spoti.fi/1rQz5Zm British hard rock five-piece The Treatment​ are thrilled to announce the release of their brand new album, “Power Crazy”. Sleaze Roxx: It must be getting harder to do a setlist for your shows. How do you guys come with the setlist? Dhani Mansworth: We always try to keep the majority the new material, you know what I mean? It’s the first album with Tom. We try to play as much old stuff as we can but it’s kind of hard. We’ve got four albums now. We try to include it all, all four albums. Sleaze Roxx: For the last couple of years, you’ve had to get a new singer. Do you find that you’re starting over because changing singers is obviously a big deal, right? Dhani Mansworth: Yeah. The momentum — we’ve lost a little bit of momentum to a certain extent. It’s always hard because the singer is the figure of the band. It’s what people associate the band with. I think all considering, we’ve come out of it really lucky. We didn’t want to get back on the road after a year and a half of being away from touring and doing gigs. So we’re just ready to get out on the road and start touring. Sleaze Roxx: You have a UK tour coming up. Dhani Mansworth: Yeah. We’re going out in May. Sleaze Roxx: Cool. Do you have any other plans after that? Dhani Mansworth: Yeah. We have a few things in the pot right now. We have a couple of things that we are waiting for that could be amazing for us. We have a lot of things that we are working on. We are really looking forward to getting out there and getting back on the road. Sleaze Roxx: Do you guys ever keep in touch with your former band members? Dhani Mansworth: Nah. Not really. 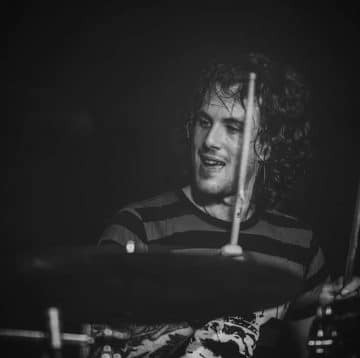 We haven’t heard from [former lead vocalist] Matt [Jones] in four to five years. Everyone is doing their own thing you know. We’re focused on what we’re doing and they’re getting on with whatever they’re doing.